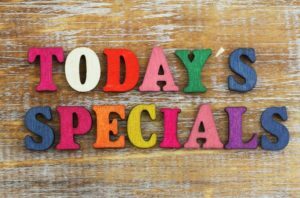 March Specials will be Gone Soon! March 24, 2018 Comments Off on March Specials will be Gone Soon! The office furniture at PnP Office Furniture is always ideal for attractive, comfortable and efficient office spaces. PnP Office Furniture has been the Inland Empire’s go-to source of new and used office furniture for over 30 years. Come see what all the fuss is about today – our store is located at 940 South Rochester Ave. Suite D [address1]. So many people have relied on PnP Office Furniture for all their office furniture needs in Ontario, CA over the years. There’s something for everyone at PnP Office Furniture! These deals won’t last long! Every once in awhile, we accumulate a large inventory of high quality items at rock bottom prices. When that happens, we take great pleasure in passing the savings right on to you, our valued customers. Currently we are running amazing specials for the month of March. This month is almost over, so make sure you stop by PnP Office Furniture ASAP to take advantage of these amazing deals before they’re gone. Get attractive furniture for your office lobby by taking advantage of this March special on black bonded leather chairs, loveseats, and couches. Featuring chrome accents, commercial grade construction, and extra thick cushioning, this furniture is an excellent way to welcome guests to your office space or simply provide a nice place for employees to relax and take a break during their busy workdays. Order now by calling 909-390-0428 or by coming by our store. These multi-use tables are perfect for office training sessions, presentations, and more. They could even work as standup desks for those who are interested in those. Choose between 24” and 30” deep bases (on sale for $369 and $399 respectively). Bookcases are a great way to add some aesthetic appeal to your office space, and many employees appreciate having the ability to look up information using hard copy books. We have laminate bookcases for sale this month. They’re all 1” thick, and you can choose between 5 heights and 4 in-stock colors (espresso, cherry, mahogany, and urban walnut). Prices range from $65-$169. Order now – this deal won’t last long! Encourage optimal health and focus in your workplace with this 10 Position Desk Riser from Prado. It features a dual handle spring-assist lift, a 16.75” height adjustment range, a large work surface, and a keyboard tray, this desk is ideal for just about all health-conscious employees in your office. Invest in these high quality office chairs for every employee in your office. Available for $239 each for a limited time only. Choose between 7 stylish colors, all of which feature self adjusting Ice SpaceFlex backrest with built-in lumber support, a thick, padded 2-layer Shadow mesh seat, self adjusting 4-to-1 synchro tilt backrest lock and anti-kickback, one touch pneumatic seat height adjustment, height adjustable arms with PU pads, extra heavy duty platinum finish base with black end caps, and GREENGUARD certification. This is a great chair for all office spaces – get them now before they’re gone. Order now by calling 909-390-0428 or by visiting or Ontario, CA, store.